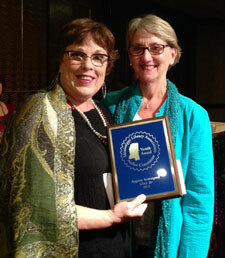 Augusta accepting the 2013 Mississippi Author Award. NPR Weekend Edition, Jan 7, 2012: Scott Simon interviews Augusta. Here's an interview with Augusta: click to listen.